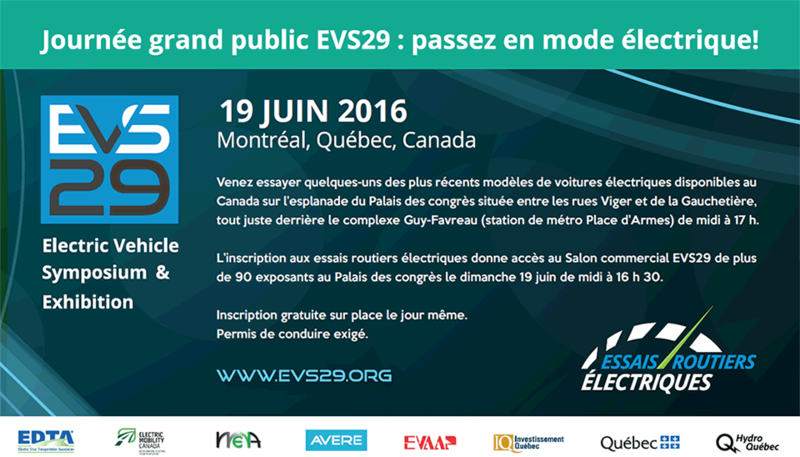 Just a few weeks before the 2017 FIA Formula E Hydro-Québec Montréal ePrix, our partner evenko has released an electric program for the weekend! On July 29th and 30th, the streets of the Ville-Marie borough will host electric race cars that can reach speeds up to 225 kilometres per hour! 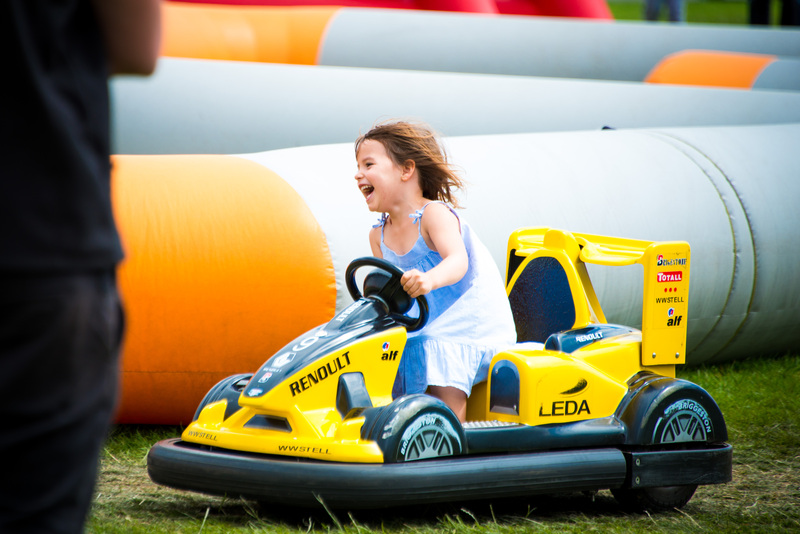 Racing simulators, virtual reality, demonstrations and trials of different types of electric transportation, mini drones, entertainment, prototypes of all sorts, and a family zone are on the program to make this event the hit of the summer. “The two Formula E races are the highlight of the weekend. 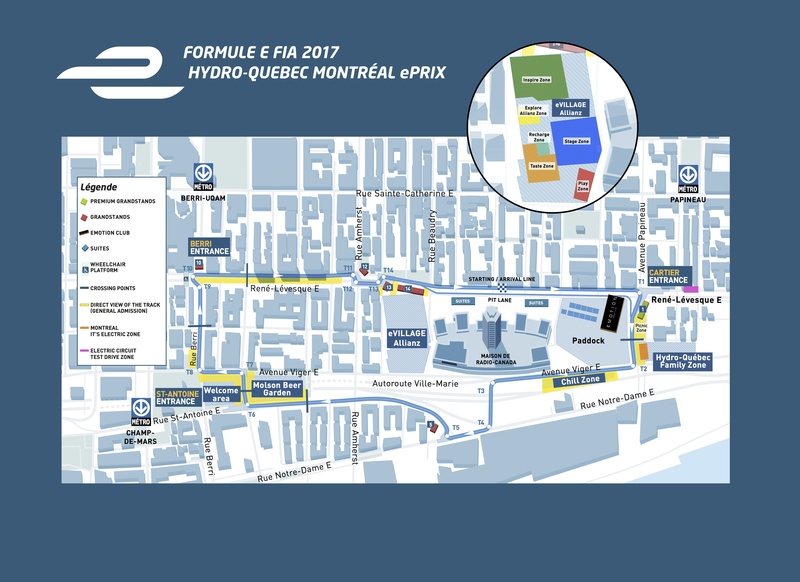 But the Hydro-Québec Montréal ePrix is much more than electric car races,” said Simon Pillarella, General Manager of Montreal it’s electric (MIE). In addition to coordinating the event, the organization’s goal is to promote electric transportation in the city. With all of the educational activities and entertainment that Formula E offers, MIE believes this event will allow perceptions about electric transportation to change and, in turn, break down barriers preventing their adoption. One of the must-see activities is the friendly Téo Taxi race between Montreal mayor Denis Coderre and the honorary president of the Hydro-Québec Montréal ePrix, Alexandre Taillefer. Different areas on site will be lively all weekend long, including the MIE zone, which will present everything that urban electric transportation has to offer. Visitors will have the chance to test drive and check out a multitude of electric vehicles, such as bikes and scooters, to name a few. MIE will also contribute to the next generation by featuring transportation electrification projects from schools and engineering faculties in Quebec. As well, road tests offered by the Electric Circuit and organized by Branchez-vous and CAA‑Quebec, in collaboration with the Government of Quebec, will allow participants to try electric cars that are currently available on the market. Visitors will also have the chance to attend Roborace competitions, where futuristic autonomous race cars will go head to head. This impressive event will highlight the advancements in self-driving vehicles while encouraging their adoption. Starting at only $32, the Hydro-Québec Montréal ePrix is an event you won’t want to miss!